In 1991 the greatest song of all time, bar none, was Amy Grant’s “Prodigal”. It’s a beautiful piano ballad, a song about waiting for a loved one to return. It was at the end of my cassette tape of the album Unguarded (1985), which I’d saved up my pocket money for two months to buy, and Dad warned me if I played the same part over and over, it’d wear out. So I had to listen to the whole tape to wear it evenly, all those bouncy aerobic songs of mid-80s pop till I got to that Greatest Song of All Time. I’ll be waiting, counting the days, until I finally see your face. I knew Amy Grant was waiting for me, somewhere, waiting, probably for me to hit puberty and not be ten years old. These days, my music collection is managed by itunes, and I studiously rate all additions to my library. Being an impartial judge of music, my ratings are objective of course, and a five star song is a five star song forever. But, why then, do I keep skipping tracks by Au Revoir Simone, that band of synthesiser-playing hippy housewives who I had a brief crush on in September 2011? And how come Depeche Mode and the Smashing Pumpkins keep dropping a star these days? Was there something wrong in my objective taste of five star songs? Of the 253 five star songs in my collection, 32 are by the Cure and only 25 are by Nick Cave & the Bad Seeds. Does this finally arbitrate the long running rivalry in my head over who my favourite artist is? Being a librarian and having some fondness for records (in the non-LP sense), I wish itunes was more sophisticated. I wish it had multiple ratings: a rating for when this song was in season, when it was in tune with me and my life, and my rating now. Then I could re-rate songs with impunity, without losing a record of just what my taste was in years gone by. 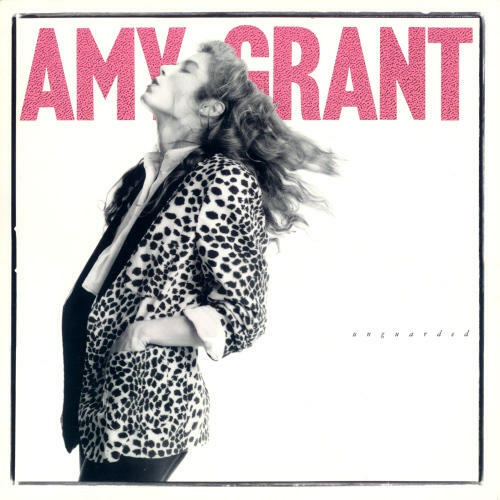 I haven’t listened to Amy Grant’s “Prodigal” for quite some time. I don’t have it on itunes, or even on CD. I don’t have a working tape player any more. I have the tape itself, and I don’t think it ever wore out. My dad never warned me that a song could ever wear out in my head, that my favourite song, that a perfect song, might one day stop being so.